For savvy car-buyers, choosing a pre-owned vehicle is often the best choice. They cost less than something new, offer a lot of variety in regards to makes, models, features, and styles, and make getting financing and low-cost insurance easier. Before you consider anything else, explore the inventory currently in stock at Mercedes-Benz Kitchener-Waterloo in Kitchener. Think about what you want and need in terms of travel. Calculate how much you can spend responsibly. Decide how to get rid of your current vehicle. Consult independent resources for information and insights. 1 owner bought and fully serviced at Mercedes Benz. This 4MATIC AWD is equipped with the Premium PKG including Smartphone Integration, Apple Carplay, Google Android Auto, Active Parking Assist, Panoramic Sunroof, 360-Degree Camera, COMMAND Navigation, Surround Sound System, Heated Rear Seats, Keyless Go, Power Tailgate, Parking Package, 115V Power Socket, Intelligent Drive Package with Active Blind Spot & Lane Keeping Assist, Active Steering Assist, Active Brake Assist w/ Cross-Traffic Function, Active Brake Assist with Cross-Traffic Function, Metallic Paint, Leather Upholstery, Piano Black Lacquer Wood Trim, Climate Controlled Cup Holders, Multicontour Front Seats w/ Massage, Heated Steering Wheel, Trailer Hitch, Aluminum Running Boards, Rear Seat Entertainment, and Night Package. Bluetooth is standard. Star Certified Warranty up to 6yrs or 120,000kms is included. 1 owner vehicle bought and fully serviced at Mercedes-Benz and recently off lease. This 4MATIC AWD sedan is very well equipped with the Premium Package including Rear View Camera, Storage Package, Panoramic Sunroof, COMMAND Navigation, Sport package with Sport Suspension, AMG Styling Package, 18inch AMG 5-Spoke Wheels, Metallic Paint, Open-Pore Dark Ash Wood Trim, and Static LED High Performance Lighting System. Bluetooth is standard. Star Certified Warranty up to 6yrs or 120,000kms is included. 1 owner vehicle bought and fully serviced at Mercedes-Benz and recently off lease. This diesel 4MATIC AWD looks great in Tenorite Grey on Black ARTICO. It is well equipped with the Premium Pkg including Parktronic w/ Active Parking Assist, Panoramic Sunroof, 360-Degree Camera, Media Interface, COMMAND Navigation, Harmon/Kardon LOGIC7 Surround Sound System, Heated Rear Seats, Keyless Go, Power Tailgate, 115V Socket, Sport Package with ADS Adaptive Damping System, AIRMATIC Suspension, AMG 20inch 5 spoke wheels, Bi-Xenon Headlamp Pkg with Adaptive Highbeam Assist, Bi-Xenons, Metallic Paint, Anthracite Poplar Wood Trim, Trailer Hitch and Aluminum Running Boards. Bluetooth is standard. Star Certified Warranty up to 6yrs or 120,000kms is included. 1 owner bought and fully serviced at Mercedes Benz Kitchener-Waterloo. This 4MATIC AWD 2dr Coupe looks great in Polar White on Bengal Red Leather. Well equipped with the Premium Package Including Partronic w/ Active Parking Assist, 360-Degree Camera, Adaptive Highbeam Assist, Active LED High Performance Lighting System, Harmon/Kardon LOGIC7 Surround Sound System, Keyless Go, Parking Package, Sport Package with Sport Steering Wheel, Multicontour Front Seats, 18inch AMG 5-Twin Spoke Wheels, Sport Brake System, Dark Ash Wood Trim and Climate Comfort seats. Bluetooth is standard. Star Certified Warranty up to 6yrs or 120,000kms is included. 1 owner vehicle bought and serviced at Mercedes-Bernz KW and recently traded in. This 4MATIC AWD 4 door Coupe looks great in Cavansite Blue Metallic on Porcelain Leather. Well equipped with the Premium Package including Climate Comfort Front Seats, Drive-Dynamic Multicontour Driver seat, 360-Degree Camera, Rear Window Sunshade, Harmon/Kardon LOGIC7 Surround Sound System, Heated Rear Seats, Power Trunk Closure, Keyless Go, Parking Package, Intelligent Drive Package with DISTRONIC Plus, Active Blind Spot and Lane Keeping Assist, CMS Rear, DISTRONIC PLUS with Steering Assist, BAS Plus, BAS PLUS with Cross-Traffic Assist, PRE-SAFE Brake (Autonomous Emergency Braking), PRE-SAFE PLUS for Rear-End Collision, Bluetooth is standard. Star Certified Warrantyup to 6yrs or 120,000kms is included. 1 owner vehicle bought and fully serviced at Mercedes-Benz and recently off lease. This 4MATIC AWD vehicle is well equipped with the Premium Package including Passive Blind Spot Assist, Parktronic w/ Active Parking Assist, Panoramic Sunroof, COMMAND Navigation, and THERMOTRONIC Automatic Climate Control, Premium Plus Package with Integrated Garage Door Opener, Auto Dimming Mirrors(Rearview & Drivers Side), Storage Package, Exterior Power Folding Mirrors, Media Interface, Bi-Xenon Headlamps, Power tailgate, Mirror Package, and KEYLESS Start. Bluetooth is standard. Star Certified warranty up to 6yrs or 120,000kms is included. Come and check out this recent trade in fully serviced at Mercedes Benz. This 4MATIC AWD full size Luxury Sedan is very well equipped with the Premium Package, Exclusive Package, Premium Rear Seating Package,, Metallic Paint, Burl Walnut Wood Trim and 20inch AMG Triple 5-Spoke Wheels. Star Certified Warranty up to 6yrs or 120,000kms is included. 1 owner Vehicle bought and fully serviced at Mercedes Benz KW and recently off lease. This diesel 4MATIC AWD vehicle looks great in Obsidian Black Metallic on Black Artico. Well equipped with the Premium Package including Smartphone Intergratio/Apple Carplay, Parktronic w/ Active Parking Assist, Panoramic Sunroof, 360-Degree Camera, COMMAND Navigation, Harmon/Kardon LOGIC7 Surround Sound System, Heated Rear Seats, Keyless Go, Power Tailgate, Parking Package, 115V Power socket, LED Intelligent lighting with Adaptive Highbeam Assist, Anthracite Poplar Wood Trim, Trailer Hitch and Aluminum Running Boards. Bluetotth is standard. Star Certified Warranty up to 6yrs or 120,000kms is included. 1 owner vehicle bought and fully serviced at Mercedes-Benz KW. This 4 Seater Cabriolet looks great in Diamond White Metallic on Bengal Read Leather. Well equipped with the Premium Package including Rear View Camera, Parktronic w/ Active Parking Assist, AIRSCARF, Adaptive Highbeam Assist (AHA), Active LED High Performance Lighting System, Harmon/Kardon LOGIC7 Surround Sound System, Keyless Go. Night Package, Dark Ash Wood Trim, and Climate Comfort Front Seats. Star Certified Warranty up to 6yrs or 120,000kms is included. Come and see it today. For complete confidence, consider a certified pre-owned vehicle, which has passed several tests so you know that it’s a reliable choice. 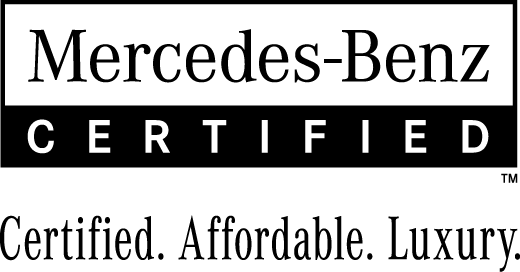 Apply for financing before you arrive at the dealership for convenience, and don’t hesitate to contact Mercedes-Benz Kitchener-Waterloo at any time for more information.